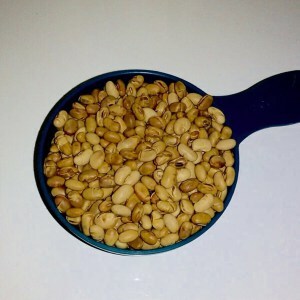 SOY NUT: High protein , fiber, minerals and vitamins snack with 117 calories per 1/4 cup of dry roasted soy nut. 7.5g protein, 7.5g carbohydrate, 3g fiber and 6g healthy fat. It contain no cholesterol and a very low saturated fats per serving. These nuts help raise the blood levels of HDL cholesterol and lower LDL cholesterol. Thus soy nuts are heart-healthy nuts. GREEK YOGURT: packed with protein which are essential for growth,building muscles and repairing tissues, probiotics great for digestive system, full of Vitamin B12 necessary for energy and healthy brain function, high in potassium which helps in balancing out sodium in the body, high in calcium content, great after workout meal and great for weight loss. I love Greek yogurt with nuts and fruits. 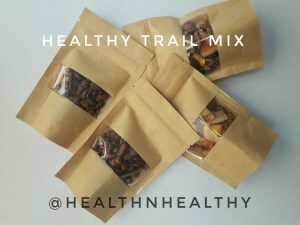 TRIAL MIX: A combination of protein, fiber and healthy fats will make you feeling full. It’s a combination of fruits, nuts, and high fiber cereal. Nuts are naturally low-glycemic foods, which means they won’t raise your blood sugar levels as quickly as other foods. MULTIGRAIN BAKED CHIN CHIN: Lovely with a cup of coffee or cold press vegetable juice. 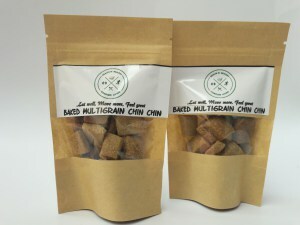 Our baked chin chin is crunchy, fresh and packed with amazing super food. It contains flax meal, chia seed meal, stevia, eggs, coconut oil, millet flour, wheat flour, quinoa flour etc. 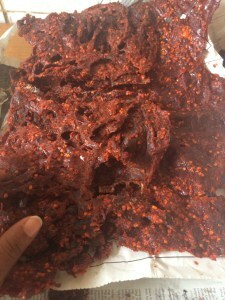 KILISHI:(Beef jerky )is high in protein and doesn’t raise your level of insulin—a hormone that signals your body to store fat. That makes it an ideal between-mealssnack, especially when you’re trying to lose weight. What are you top 5 office snack?